KINGDOM ETHICS: Following Jesus in Contemporary Context (Second Edition). By David P. Gushee and Glen H. Stassen. Grand Rapids: Wm. B. Eerdmans Publishing Co., 2016. Xxiii + 526 pages. According to one dictionary definition, ethics is a system of moral principles. It has to do with how we conduct ourselves. There are many approaches to ethics, as any textbook will reveal. Many religions, including Christianity concern themselves with moral principles and behavior, and thus offer a system of ethics. Christianity, as a religion, is rather diverse and so there isn’t just one way of approaching the topic. Many theologians have contributed major works on ethics, as they have sought to make a connection between their vision of God and contemporary life. Some theologians have devoted their careers to ethics, among them are David Gushee and the late Glen Stassen, authors of Kingdom Ethics. In recent years I have come to highly regard the work of David Gushee. We were fortunate to host him last fall at my church, as he spoke on the question of LGBT inclusion, the subject of his book Changing Our Mind, (Read the Spirit Books). I also had the opportunity to meet Glen Stassen several years back, prior to his death. Gushee and Stassen have Baptist roots. Both are evangelicals. Both are committed to the way of Jesus. That is the focus of this rather lengthy ethics textbook. The volume under review is a second edition. The original edition was published in 2003. By around 2010 both authors had concluded that the book needed to be revised. Unfortunately, before they could start work, Stassen suddenly passed away. With increasing interest in a revised edition, Gushee decided to revise the book, seeking to remain faithful to the original vision, but bringing the book up to date. I come to this book with a degree of freshness, as hadn’t read the first edition. Therefore, I won’t be comparing this edition to the first. However, I do need to take note of one major change in the book, a change that Gushee reveals up front. Since the publication of the first edition, Gushee underwent a conversion of sorts with regard to the inclusion of LGBT persons. He has become an important advocate for inclusion from an evangelical perspective. Although changes have been made to the book, the central focus remains the same. Gushee writes: "I still seek an ethic focused on Jesus Christ, on the reign of God that he proclaimed and inaugurated, and on his authoritative teachings in the Sermon of the Mount" (p. xiii). That commitment is visible throughout the book. This is not just any text book. Yes, they treat introductory issues, but they also have a specific point of view that comes through clearly. As a text book, Kingdom Ethics may seem daunting. Having taught Christian ethics at a college, I can guarantee that some of my students would have been put off by the books length, and possibly its depth. However, for those willing to engage the book and its arguments, they will benefit, for they will discover what it means to be a follower of Jesus. The book falls into two sections. Part one deals with methodology and part two deals with "core moral issues." In Part One the authors take us on a brief tour of reigning ethical theories and then turn to their purpose—exploring Jesus’ message of the reign of God and how it is lived out in the real world. In emphasizing the kingdom, they offer up a particular vision of this reign, which they call “inaugurated eschatology.” That is, God’s reign has been inaugurated in Jesus, but it will reach its ultimate consummation in the future. God’s reign, in their estimation (rightly), has been contested from the beginning, but is moving forward. As Christians, we’re called to embrace kingdom virtues, or a specific quality of life. As for the virtues they believe Christians should nurture, they are revealed in the Sermon on the Mount, and most specifically the beatitudes. In pursuing this course, they want to emphasize the authority of scripture, even as they recognize differences in interpretation. Interpretation takes into consideration the conscience, science, moral traditions, etc. Since this is a Kingdom Ethics, the teachings of Jesus will receive special attention. From here we move to an exploration of moral norms, and how they’re defined. From here we move on to the question of doing. How does the Sermon on the Mount serve to transform our ethical initiatives? As we move through part two the question will continually be asked—how is Jesus’ teaching present in these discussions, especially as revealed in the Sermon on the Mount? Any Christian ethics should emphasize love, and Gushee and Stassen do just that. It is the heart of Jesus’ life and ministry, and leads not only to proper action but ultimately to reconciliation. When speaking of ethics, one must speak not only of love, but also of justice. The authors want to make sure that the definition of justice is rooted in scripture and not in secular ideologies. It is, they declare the “cardinal ethical norm.” It should be no surprise to those who’ve read Gushee’s important book on the sacredness of human life, that it would appear in this book as well. The chapter on “the sacredness of life” was added to the second edition, for he believes it is also a cardinal norm. He writes: “Christian conviction about the sacred worth of the person offers the fundamental rationale for the norms of love and justice. People should be treated with love and justice because they are sacred in God’s sight” (p. 149). Part one ends with a discussion of what it means to be faithful. In the course of this discussion he outlines twelve "Key Method Elements for Kingdom Ethics," which are noted in the second half of the book with the marker KME(number). Being that this is an ethics textbook, the authors introduce the reader to the variety of ethical theories along the way, but they’re not the focus of the book. This isn’t just an introduction to ethics, even Christian ethics, this is the foundation for a specific ethical perspective rooted in following Jesus. They never lose sight of that purpose. In Part Two, the authors embark on a journey through a number of important ethical issues. 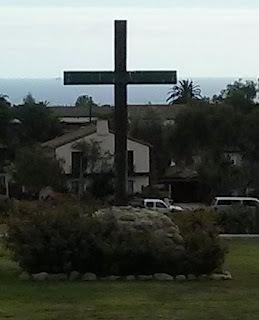 They noted that "because we are trying to allow Jesus' agenda to set our agenda, with special attention to the Sermon on the Mount, in this section we will address such critical issues as violence and vengeance, gender relations, marriage and divorce, sexuality, truth telling, and the handling of money and possessions (and economic life more broadly)" (p. 193). Among these chapters, they include one on prayer, that is because prayer stands at the center of the Sermon on the Mount (consider the Lord's Prayer for instance, which is explored in some detail). It is in this section that Gushee shares his new understanding of gender identity and sexual orientation. This should, I believe, make the book more valuable, for David approaches this subject with compassion and with deep concern that he is being faithful to scripture. This is, after all, an evangelical ethics. One chapter that I found especially helpful was the chapter on the ethics of war. They address the two primary Christian perspectives -- just war and pacifist. But they recognize that there needs to be another way, a way that can move us beyond the binary. That way is "just peacemaking theory," which was developed by Glen Stassen. What I appreciate about this vision is that it allows a person, like me, who isn't satisfied with the just war theory, but for a variety of reasons can't embrace pacifism, a way to pursue justice and mercy in a way that can make sense in the world we live in. This theory calls on us to pursue, no matter our perspective on war, peace in our world. It is a call to pursue peace in the midst of a world often torn by war and injustice. It is a vision that embraces nonviolence, seeks ways of reducing threats, makes use of "cooperative conflict resolution," acknowledges responsibility for conflict, "promotes democracy, human rights, and religious liberty, seeks just and sustainable economic development, seeks to link with cooperative forces, strengthens the UN, seeks to "reduce offensive weapons and weapons trade," and finally encourages the development of grassroots movements. To me this is a realistic vision and one that calls us to action. The point is not to defend an ideology, but to work toward ending war! There are few if any issues left untouched, from sexuality to race (they choose to focus on the black/white dimension, in part because this form of racism stands as a stain on American life. It is our original sin). They deal with economics and incarceration. Throughout the book we're invited to look at things through the lens of Jesus' kingdom vision. That makes this a most worthwhile book. We who are Christians say that we follow Jesus, but is this really true? What happens when we begin to compare our life practices with the teachings of Jesus? That’s what makes this book so compelling, whether or not one is an evangelical. So, even if the original intended audience was evangelical, I believe that this book will prove to be enlightening and challenging to those in the mainline Protestant community, especially among socially-minded progressives, who will support David’s commitment to LGBT inclusion and stumble on his understanding of life and its sacredness, which leads to a principled stand on abortion. My hope is that this book will find a wide audience, because it is focused on embracing the teaching of Jesus on matters of life and death. This is a deep and thoughtful book. It’s not an easy read. It took me quite a while to read, but it’s worthwhile reading. In fact, Kingdom Ethics could be transformative reading (I know that the word transformative is overused but I think it’s appropriate here). So, if you read the first edition, I believe you will find the revision to be faithful to the original vision, but also relevant to the current day. If it’s your first time, as was true for me, I think you can be grateful to David and to Eerdmans (provider of this review copy) for making this book available to a new audience.